Get in-store category expertise with execution insights. As category managers, you are the go-to experts for all things category-related. You know category buy rates, brand loyalties, switching rates. But what about display execution for the category or brand display share? 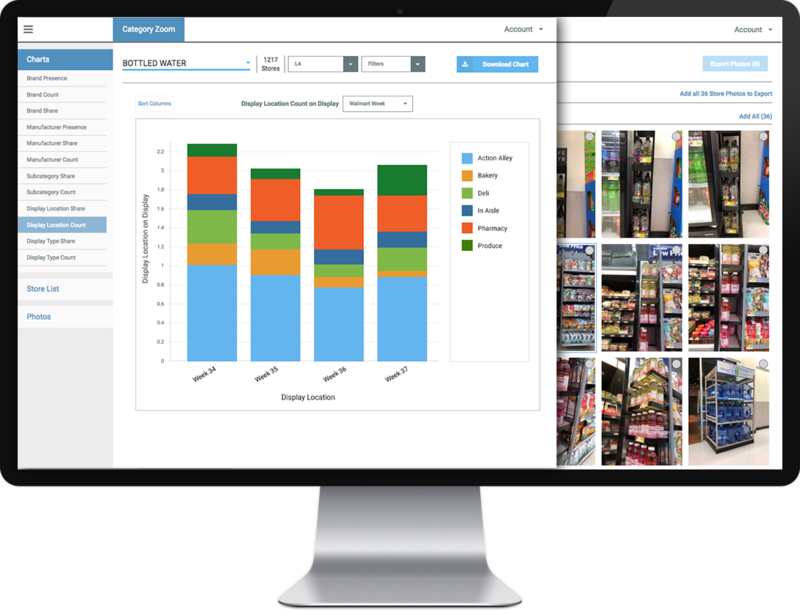 With Category Zoom, you can see metrics like display presence, brand display share, display location and fixture type. Arm your category stories with detailed in-store merchandising metrics and provide your team and retailer partners with a complete view of the category. Sparkling water is growing 3X as fast as still water, and has a higher lift when on display. 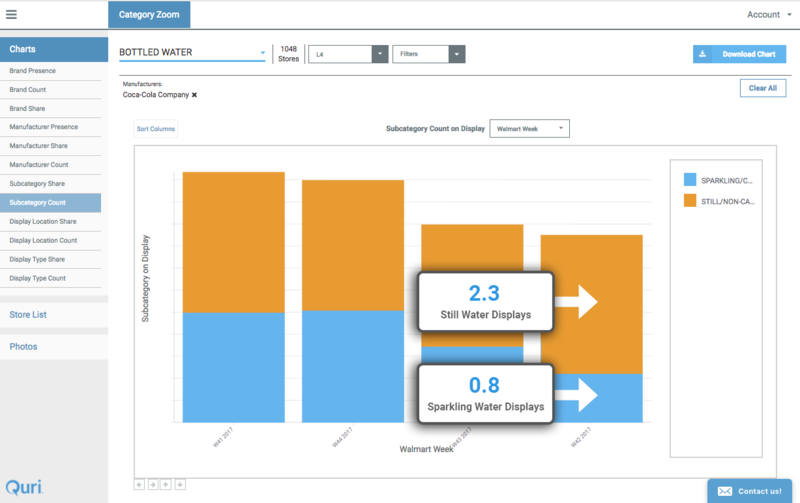 Using the Category Zoom portal, you have noticed that during the previous week, Still Water on average got 2.3 displays per store, where sparkling only had 0.8 per store. You can use this information to suggest to the buyer to put more sparkling displays up to help grow the entire water category.